Mobile Jazz recently celebrated it’s 5th anniversary and we thought this would be a good time to look both back to where we’ve been and to where we are headed. To do this, I sat down with our two founders, Stefan Klumpp and Jordi Giménez, and talked through the history of the company, what motivates them, and where they want to go from here. Mobile Jazz has always had a clear commitment to creating a great workplace, first for the founders and as more people joined, for the employees as well. It was, in a lot of ways the reason for the start of the company. In 2011 Stefan and Jordi were freelancing for the same client and weren’t happy with the work environment. It was, frankly, a toxic work environment where the management was not honest and the employees and freelancers were not treated well. 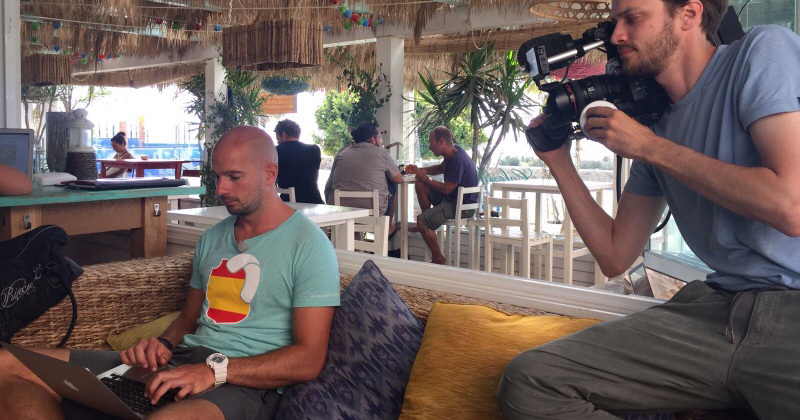 Once Stefan left and found the first client, he asked Jordi to join him. First as just a way to sell their work together and cover their own costs, but they soon created the company Mobile Jazz. It’s remarkable the clarity of the vision from the beginning and how they have steadily worked towards these goals for the entire life of the company. “Optimizing for Happiness” (O4H) in particular has become a rallying cry – internally and externally. As more people joined the company, the desire of the founders to carve out a nice working situation for themselves grew into an ambition to build a nice place to work for others. But Aren’t All Tech Companies Great Places to Work? Now – discussions of creating a great place to work is exactly what you hear from lots of companies, both big and small. With the demand for talent, software companies have to compete for the best people. So it’s common for companies to talk about what a great workplace they provide. To help explain how this approach is different, I want to pick on other technology companies for a bit. Let me first say that I don’t have personal experience with any of the companies I’m about to mention; they just happen to have had articles written about them that match the first hand experience I do have. Some might actually be great places to work or, more likely, have some good aspects and some bad. I’m mentioning these companies because they appear to match a trend I see where technology companies want to create “great work environments” not for the benefit of their employees, but instead as a means of looking good to potential employees while gaining their existing employees loyalty to get them to work insanely hard. Underlying these perks I can’t help but suspect a more selfish motivation. Have you ever seen someone be nice to another person not out of care for that person, but rather because being nice makes them feel nice about themselves and look good to others? It gives them a chance to tell others “look how great I am, I’m nice to people.” That description of Etsy gives me that feel. These perks and office are just what you would expect them to offer to improve their brand with investors, customers, and potential employees. Why else would all of it just happen to so closely match the quirky, fun, and artistic brand that Etsy has built? 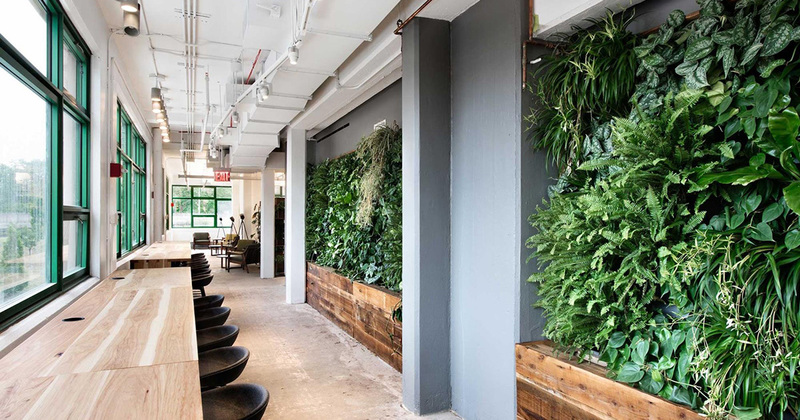 Now, these perks at Etsy might be just perfect for their employees – I of course don’t know. But in general, if a company doesn’t listen and understand their individual employees it’s hard for them to offer what their employees need instead of what’s best for the company. But I often see what I think is a more sinister side of technology companies: companies that really want to make themselves the center of their employees lives. They want to provide friends, a sense of purpose, food, hobbies, a nice place to be, and everything else to help achieve “employee self-actualization”, all to further the goals of the companies. If you can convince employees that their work is truly changing the world, they will often devote themselves to the company, working long hours and, to a large extent, taking on the identity of the company as their own. The employees develop a kind of emotional dependence on the company, trapping them in a sense of identity and purpose that serves the needs of the company first and foremost. Don’t get me wrong: many companies actually do great things that benefit the world. And many companies have employees that are proud to be a part of that work and are happy to work hard. In a recent interview, Simon Sinek shared some stories about companies like that and how leaders can create an environment where employees do remarkable things. We at Mobile Jazz certainly aspire to do good and aren’t afraid of hard work. It’s just that, instead of encouraging employee loyalty through fairness and respect, some companies use these other, less healthy tactics. It’s hard to tell from the outside what the true motivations of the company leaders that create these different unhealthy environments are. I’m not suggesting that they are comically evil and enjoy the pain of their employees like Mr. Burns from the Simpsons. Many of these companies probably started with good motivations and a desire to create a great company. But whatever leads the companies to create an unhealthy environment, the result can something that’s not in the best interest of the employees or, in the long run, the companies. Talking to Jordi and Stefan, the contrast could not be more stark. Early in our discussion Stefan talked about how much he enjoys “sharing happiness with other people.” Not giving or bestowing happiness, but sharing in a way that implies a genuine, human relationship that helps both sides grow. Talking to Stefan and Jordi you can’t help but sense their genuine caring for their employees as individuals. The sharing that they want to do is built on human relationships where people are seen for who they are. The expectation is that each employee will change the company as much as the company changes them. That working at Mobile Jazz will offer them freedom to become more who they are rather than demanding of them dependence. 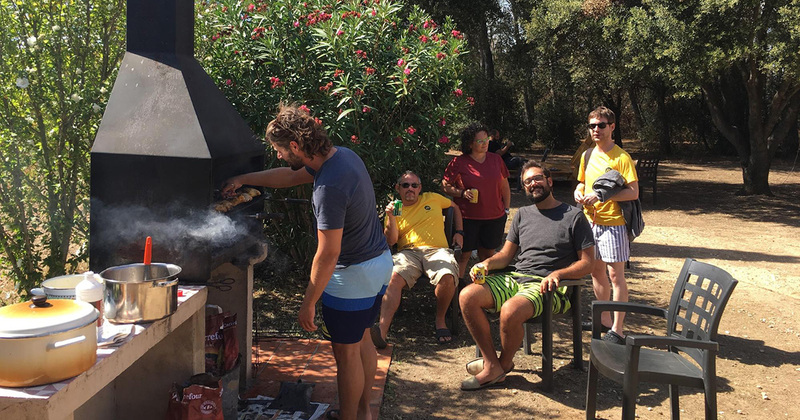 Soon I’m going to describe one aspect of the freedom offered by Mobile Jazz: the remote work culture that allows team members to travel the world and has large parts of the company working together in different countries. But as great as those options are for many people, if that form of “freedom” was mandatory, it would no longer be free. It would be a burden on those that could not or did not want to work in that way. But Mobile Jazz embraces what is best for the individual employees. They have a nice office in Barcelona for those that prefer having a comfortable, predictable place to work. They also let remote workers choose how they want to work. 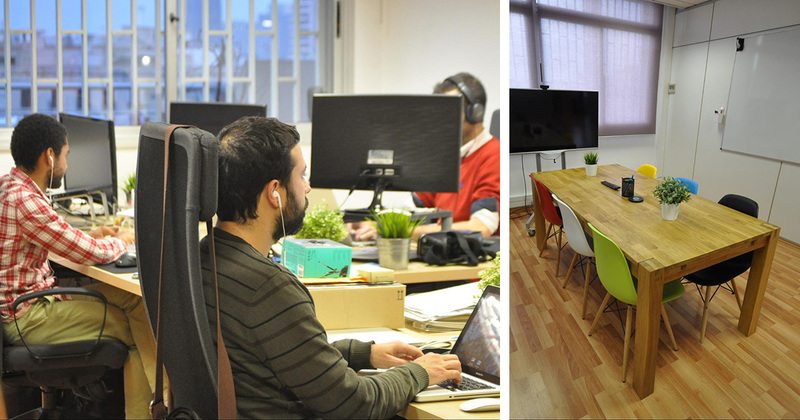 Some of the workspaces at the Barcelona office. 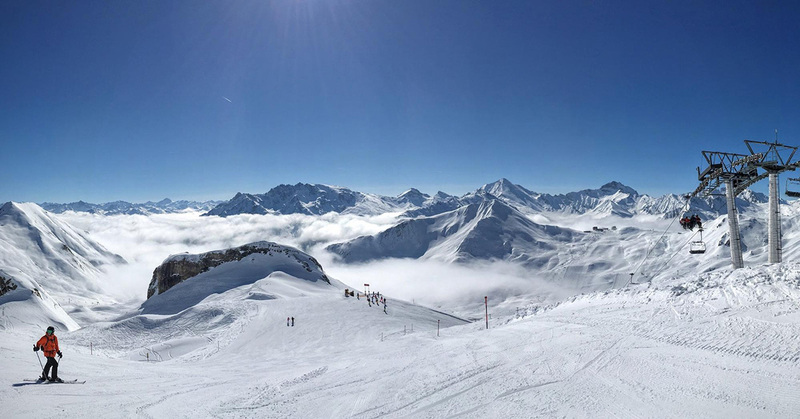 If you’ve heard of Mobile Jazz before, it’s likely from one of our blog posts about remote working, both individually and as a company. You see, we don’t just allow people to work from their homes or a coffee shop. We let people travel and, multiple times a year, invite the whole company to go someplace for a retreat or to work together. A view from Thailand, where we worked together for a month in 2014. 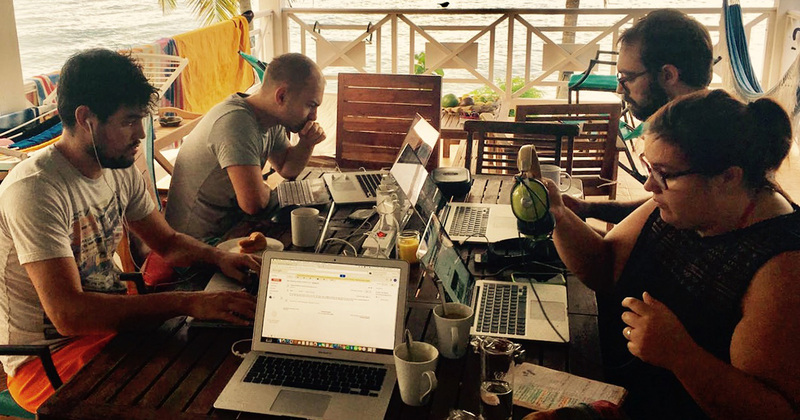 “Some of us have been taking heavy advantage of such remote working possibilities over the past three years. Remote working can succeed if you’re disciplined and well organized. But then the office also has its benefits, like very short and direct communication channels, easy collaboration and heavily increased creativity. 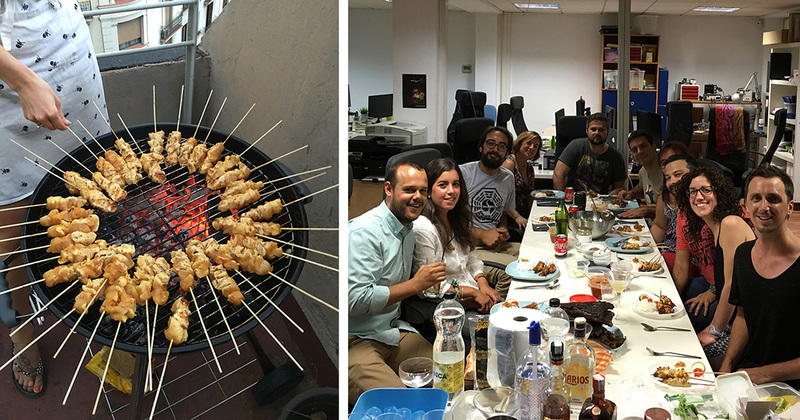 And of course playing Mario Kart or having a BBQs on our office terrace. All too often work events, even “fun” events, come with strong expectations and pressure, even if it is indirect. But that can all be avoided if you just let people have a little space to be who they are. “One of our company’s mantras is “Optimizing for Happiness” rather than profit. That’s why we prefer to work less and have more time to enjoy life. Which in the end leads to a happier self, a more productive company and better results for our clients. In an industry where creativity is a strong differentiator, a happy workforce can be an asset to the company. In addition to the company trips, some Mobile Jazz employees have used the freedom offered by the company to travel while still working. 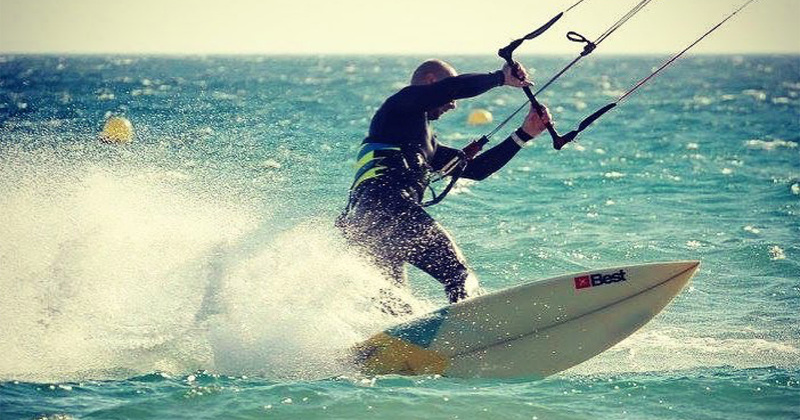 Francisco Gonzalez Rull (Fran) took this to one extreme, traveling the world for 15 months starting in 2015. And Stefan has lived out of his camper van for the last 3 years, making his home wherever he has parked for the evening. While this lifestyle sounds glamorous when you write about in a blog post, it takes work to make it a reality. But Mobile Jazz has embraced remote work (together and separate) with full awareness of the difficulty. The founders both openly discuss how the remote work makes communication harder, how everyone has to work to make the customers feel connected and taken care of, and how it doesn’t save the company any money like some naively assume. But the commitment is there because the benefits outweigh the costs. He went on to explain how happy their customers are to work with them and how that happiness results in better working relationships and very often recommendations, letting Mobile Jazz grow without having to hire a sales force at all. I believe that this is Mobile Jazz optimizing not just for their happiness, but for the happiness of everyone that they are dealing with, including their customers. I certainly don’t believe that this is selfish. It’s just that generosity usually leads to more generosity. It’s not selfish to notice that trend and rely on the goodness of others! One customer that shows how well sharing with our customers works is Medtronic. The European Diabetes branch of Medtronic started as a customer in 2013 by asking us to build a small WordPress website. The success of that project, and the mutual good feelings of the teams, resulted in Mobile Jazz taking over the care of all of the diabetes-related websites for more that 27 countries. “We feel very proud of the impact that our O4H philosophy has had inside Medtronic’s team but this is not the only example. We invite clients to come to work to our offices, we attend private events that otherwise would seem too personal in the eyes of other companies and we worry about every single one of our clients because, in the end, our mission is not to be rich, but to be happy and in the process make others happy. The team enjoying Indonesian BBQ at the Mobile Jazz Office. Part of what we have shared with our clients is our approach to managing projects. We focus not only a delivering results, but on making the process collaborative and the communication as clear as possible (skills that we’ve honed by necessity with our remote work). To use Medtronic as an example again, we currently manage over 80 websites for them. We manage that work using a single, shared Trello board using an Agile methodology. Medtronic has full access to the board, adding new requests directly and seeing the progress that we are making any time they want. We do weekly planning meetings with them to prioritize work for each week. Working this way both requires and builds trust. There is no way for us to hide when we are falling behind or there are problems, encouraging everyone to face and deal with problems as they crop up. And we immediately see what Medtronic needs next. We are very proud to have what we’ve shared become a part of company after the project is complete. Of course, this is the sharing that we are talking about, which means it has to be two way. And at Mobile Jazz we are always learning from our customers and trying to grow with them. Early on this meant literally growing through hiring people. We were founded as a mobile development company, but we soon started to receive requests for web work. Clubkviar was our first large web project that we did in 2013. We had the backend covered, but needed more help with the web frontend. From previous work, we had connections with Fran, a talented frontend developer just starting Remarkable, his own company focused on web development. We pulled him into the project to great success, with the website launching by the end of the year. 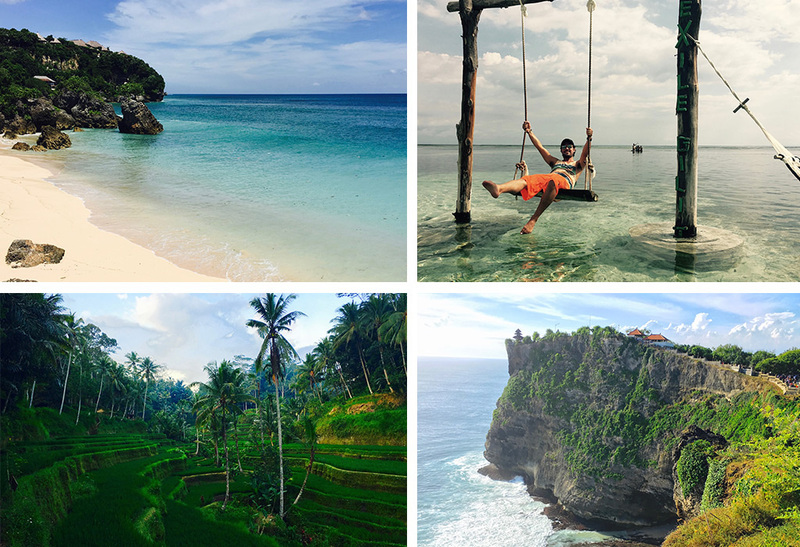 Early in 2014, we landed another web contract with Skyscanner, building mobile-friendly sites for their new hotels. While we could have partnered with Remarkable again, we wanted to bring that work in-house. Stefan and Jordi had a lunch meeting with Fran and, before the meal was finished, had worked out an agreement for Remarkable to join Mobile Jazz to become the web team (adding 3 team members). “Worldreader operates in areas where literacy access is low. Despite certain situations of developing countries, sales of mobile devices are actually increasing. This is partly due to collaborations between network providers and device manufacturers, offering low-cost smartphones (such as the Android One series) at subsidized prices. For app developers targeting low-end devices, there are two main points to consider. Firstly, the app must be built for Android due it’s high availability. Secondly, developers need to consider the requirements of these devices, for example; design, performance and user experience (UX). Building these apps, we also had to strictly limit the data consumption, inventing a streaming and caching approach to provide a good experience while only downloading the data needed. Another great example is MyMoments, a medical application proposed by the EDI Institute and developed by Mobile Jazz, which helps mentally disabled patients to express themselves through digital imagery. We loved helping the EDI Institute with this important work by building their mobile and web app and, because we were looking for a reason to experiments with tvOS and continue working in Swift, we decided to port the app to tvOS ourselves earlier this year. The result was learning for us and a nice surprise for our customer. 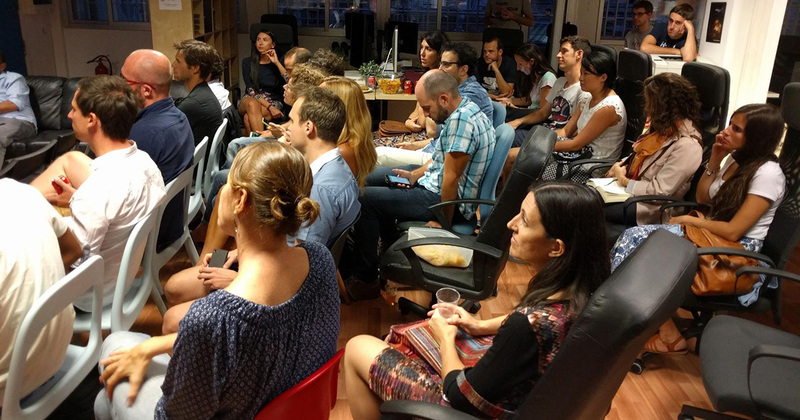 Attendees of an Optimizing for Happiness workshop held in the Mobile Jazz Barcelona office. 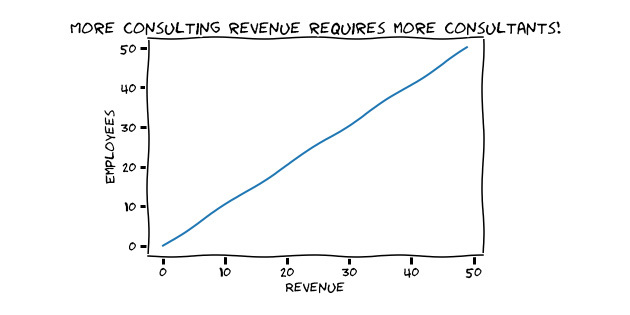 If you’ve ever run a consulting company, you understand that revenue is always directly tied to the number of people billing. So growing revenue (and profit) means hiring. Similarly, if you’ve ever tried to build a consulting company that delivers high-quality work and is a great place to work, you know that the biggest challenge is hiring and integrating more people. This is especially true if the growth is fast. These two opposing forces – the need to hire to grow revenue and the challenges in hiring well – is what makes running consulting companies hard. If your company is good at the consulting they offer and you have a knack for networking, it’s not that hard to grow to a dozen or two people while keeping a nice, small company feel and delivering great work to your customers (ok, ok – it is hard work, I just mean it’s doable by some people). But growing beyond that starts to be really challenging if not impossible. At Mobile Jazz we hit a point where it was clear that we had grown too big and too fast about three years in. Again, we started the company in 2012. By the end of that year we had grown to six people. Another five joined in 2013. 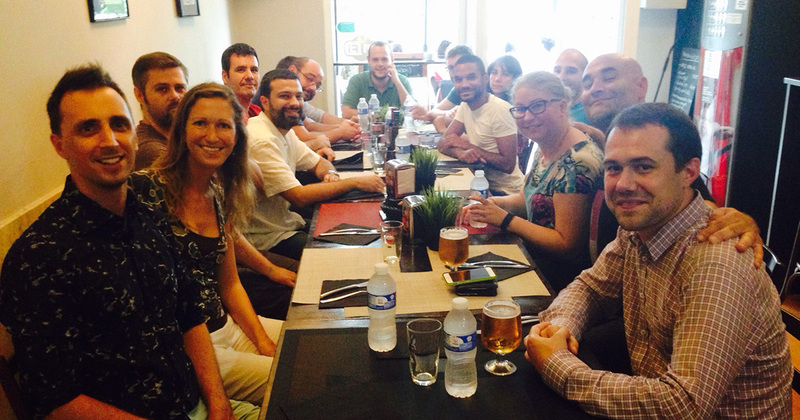 In 2014 we kept hiring and had merged in Remarkable, with the company growing to 18 people. It was in 2015, when we had landed several big clients and grown to over 20 people, that it was clear that we had a choice: we could continue to grow (we still had strong demand and referrals from our customers) or we could stay true to the company that we wanted to be. We felt that it was important to slow the growth to stay true to our company ideals. We didn’t want to lose the close relationships, the direct influence of the founders, or compromise on how we balance work and life. So we intentionally worked to not need to hire and to only say yes to work that we felt fit with who we are as a company. “Depends how you define growth, because this is also where your constraints lie. If you mean growth in people, yes, we don’t wanna go much over what we currently are. However, growth in revenue is not limited by the employees in a service business when it comes to products, like we have now with Bugfender, Localname, etc. As Stefan alluded to above, keeping the number of employees small doesn’t mean that you have to stop growing revenue. There are always products. 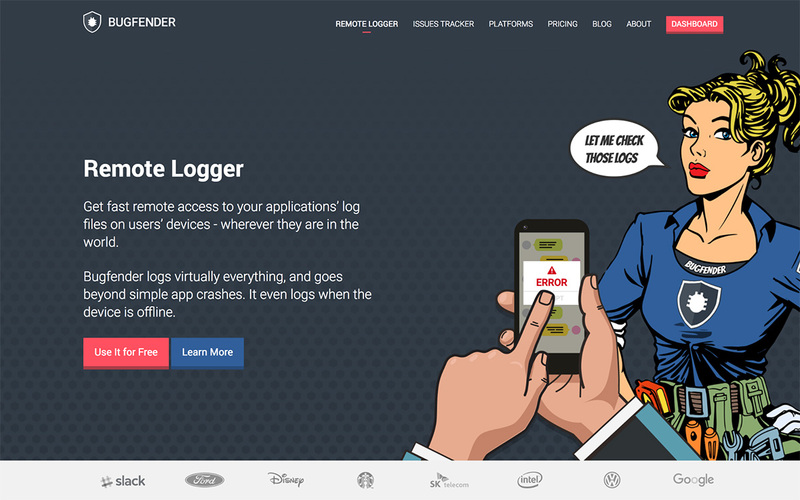 Our new branding and heroine Blair for Bugfender – our remote logging and debugging tool. The beauty of products is that they can grow faster than headcount. In theory at least. They also – typically – cost more than their headcount at the beginning. It’s a different set of risks and rewards. But for almost every consulting company, the grass over on the product side looks green and inviting. We first experimented with products during a slow period in our first year. We built a collaborative playlist for night clubs called PlayThis. At that point we didn’t invest enough in marketing and sales for the app to take off. But it was an important first learning experience with products and helped us understand our product focused customers better. In 2014 we tried products again. 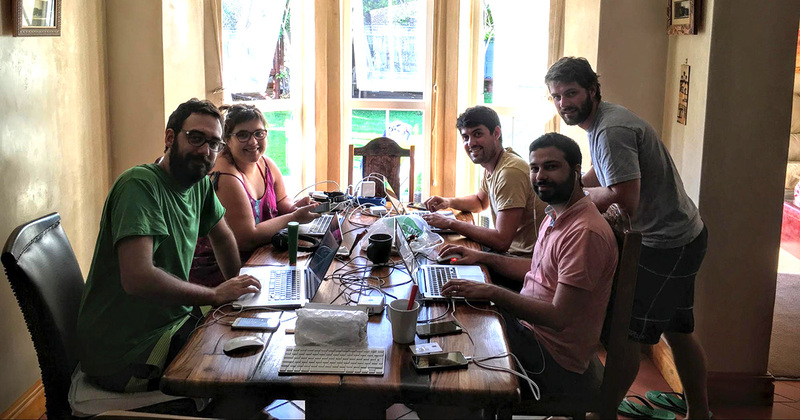 This time we took an internal pain point that we had solved with an internal tool– remotely debugging iOS and Android applications – and turned that into the public product Bugfender. Like all good product stories, this one had many ups and downs in the beginning. We almost killed the product 2016 after the app had been out for about a year. But we delayed the decision to kill the product and soon started to see 10-30% month-over-month growth. At this point, we’ve seen 560% growth over the last 12 months and believe strongly in the product. You can read more of the Bugfender story in our blog post on the history of the product. We’ve also got two new products in the works: on-premise Push Technology and Localname. Now that we are 5 years old, people are noticing we are successful. We’ve had a number of magazines and prime time TV shows cover us and our Optimizing for Happiness philosophy (see the videos on Vimeo). We’re consistently booked 6-12 months in advance and we’re financially healthy and stable. Because of this, we get a good number of questions about what’s next. We get asked by friends and “concerned” customers when we will get acquired by Google or some other tech giant. These days, people expect that the end goal for a successful technology company is to cash in by selling. 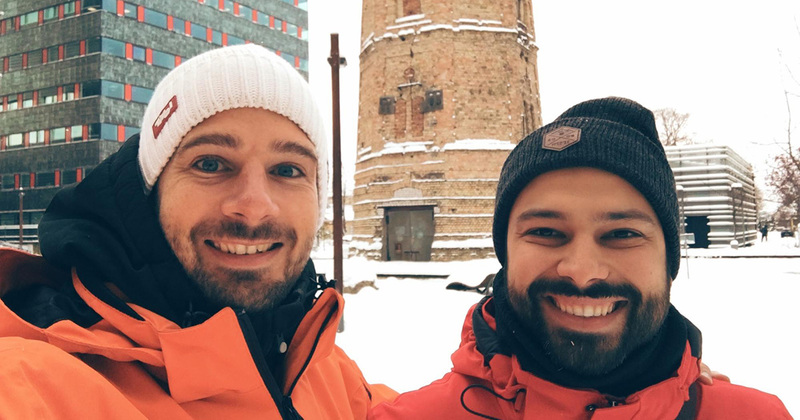 But Stefan and Jordi are, as always, focused on creating a great workplace, optimizing for happiness for ourselves and our customers, and continuing to learn and grow. They are determined to continue to run Mobile Jazz the way they have from the beginning, without worrying about what others expect. We fully expect to write another post in 5 more years describing how the fundamental, human aspects of the business haven’t changed at all, but the products and technology have greatly advanced in surprising and exciting ways. Karl is a researcher, software developer, and product leader focused on computer security and machine learning. Software that he helped create runs in every Android device shipped today.